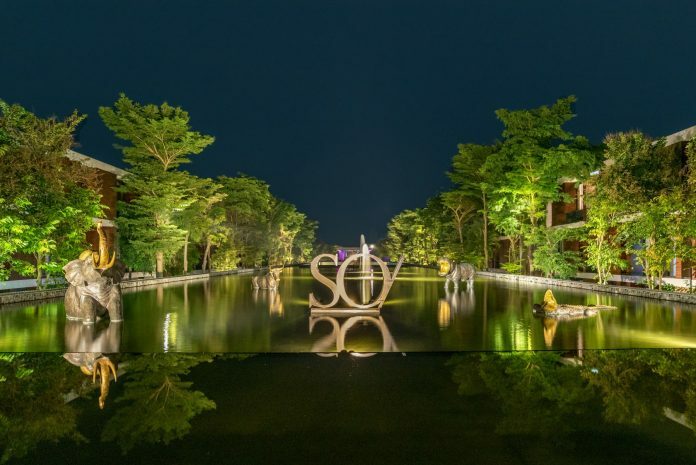 Award-winning Thai architect Duangrit Bunnag created the resort’s original bold structure, featuring an interwoven maze of open courtyards and private pathways. The property’s geometric lines and solid shapes, softened by a palette of naturally aged woods that blend with the beauty of the surrounding nature, create an environment of contemporary tranquility. Painting the canvas is Donatien Carratier, who brings to the new resort more than 20 years of design experience in Asia. 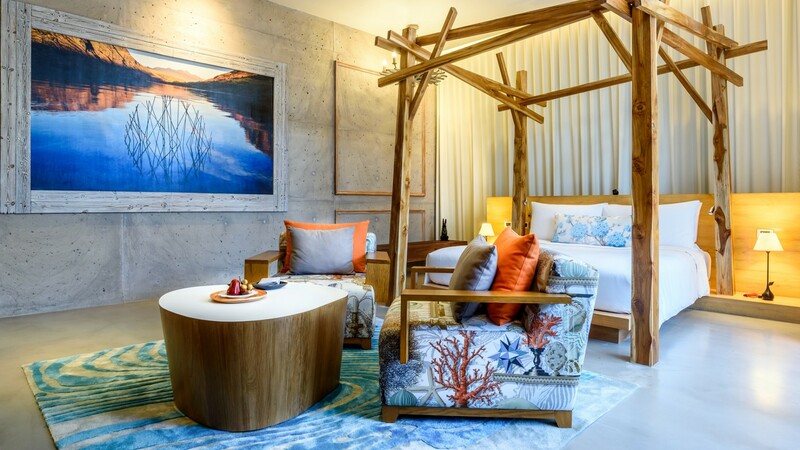 The forward-thinking interior designer, who focuses on luxury projects that demand iconic styling, is famed for creating deeply resonant environments in which vivid dreams blur with reality. Drawing inspiration from the Grand Gallerie de l’Evolution natural history museum in Paris, he is the visionary behind SO Sofitel Hua Hin’s ‘Evolution of Life’ concept, which begins with the friendly animal statues that greet guests on arrival and proceeds to the wild animal sculptures around the reflecting pond and the rabbits hiding throughout the resort, literally putting a surprise around every corner.